Balkan small plate restaurant Ambar is set to open its doors for dinner Wednesday night (Oct. 5). The restaurant is opening in the former Boulevard Woodgrill space at 2901 Wilson Blvd. It’s location No. 3 for the well-reviewed Ambar; the original is located on Barracks Row on Capitol Hill and a second is located in Belgrade, Serbia. Ambar will at first be open seven days a week for dinner, but will eventually serve both lunch and weekend brunch as well. 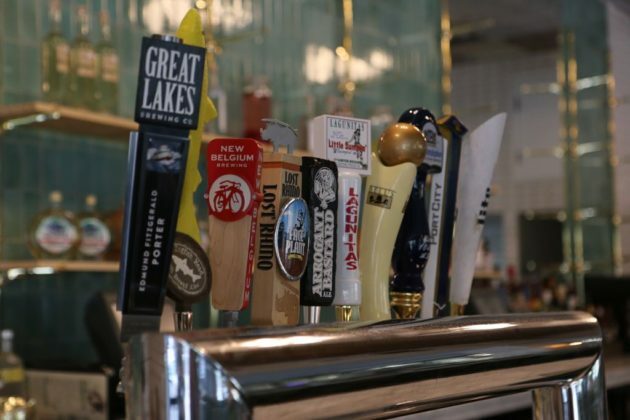 Since Boulevard closed at the end of July, the interior has received mostly decorative changes, helping to modernize a restaurant space that had remained largely the same for a decade and a half. 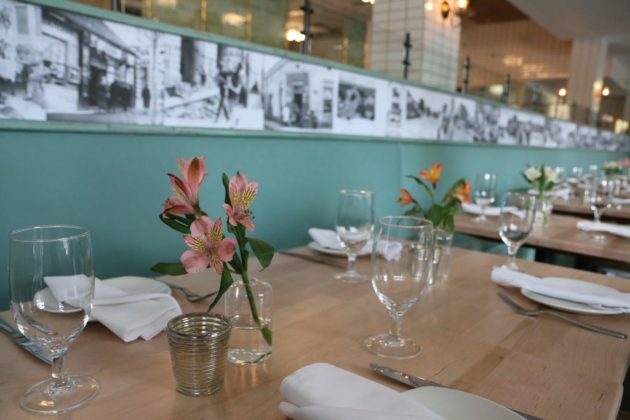 Nya Gill, the wife of Ambar owner Ivan Iricanin, designed the 3,600-square foot interior. 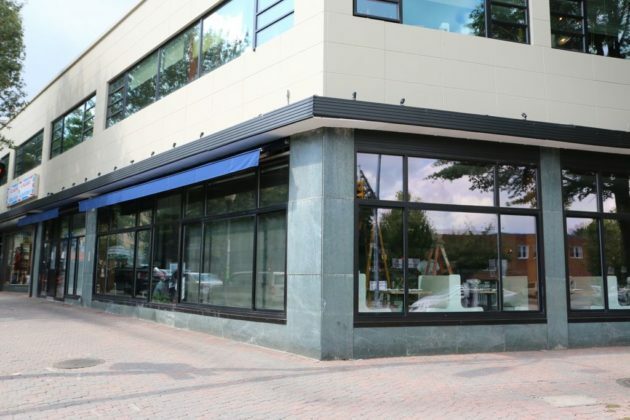 Iricanin told ARLnow.com that he has been looking to open in Arlington for some time. He said Boulevard Woodgrill presented an ideal opportunity in terms of layout and location. 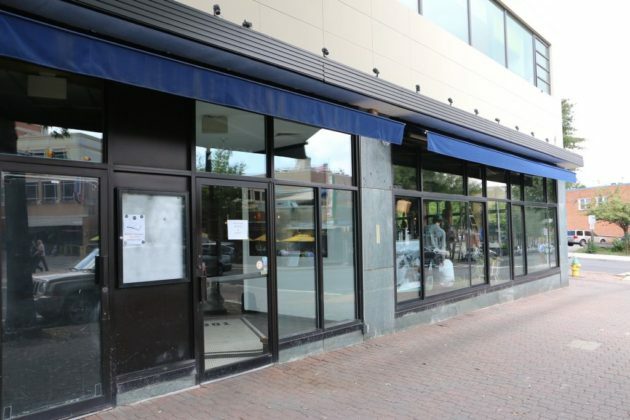 While it hasn’t been finalized yet, Ambar’s menu in Clarendon will be substantially different than that of the Capitol Hill location, Iricanin said. The menu will include dishes made with fresh, organic meats sourced from Amish farms in Pennsylvania. Lest one think that “Amish farm” is a marketing term, an Amish man — complete with beard and straw hat — was at the restaurant, talking with the chefs Tuesday afternoon. Iricanin said diners should expect high-quality food at affordable prices. There will be all-you-can eat meal options, he said, the most expensive of which is a $35 all-you-can-eat dinner. Iricanin wanted to offer an all-you-can-drink option as well — the all-you-can-drink brunch is popular in D.C. — but Virginia ABC laws prohibit it. Another notable feature of the restaurant is that it has a DJ booth near the bar. But Iricanin was quick to point out that Ambar is not trying to be a danceclub — instead, the DJs are more about sophisticated nighttime ambiance. The full press release about Ambar’s opening, after the jump. 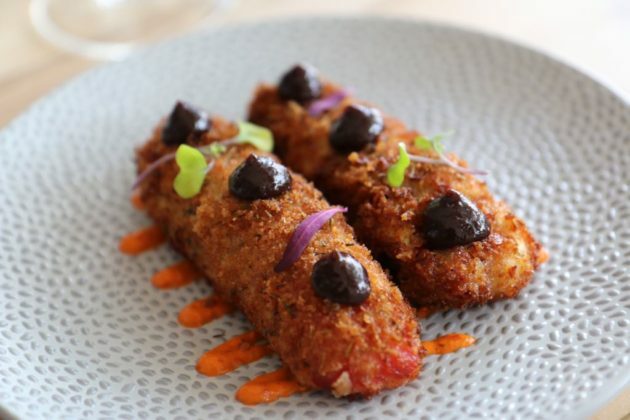 Ivan Iricanin is pleased to announce a third location of his popular Balkan concept, Ambar, which is scheduled to open this October in the heart of Clarendon at 2901 Wilson Blvd, 22201. 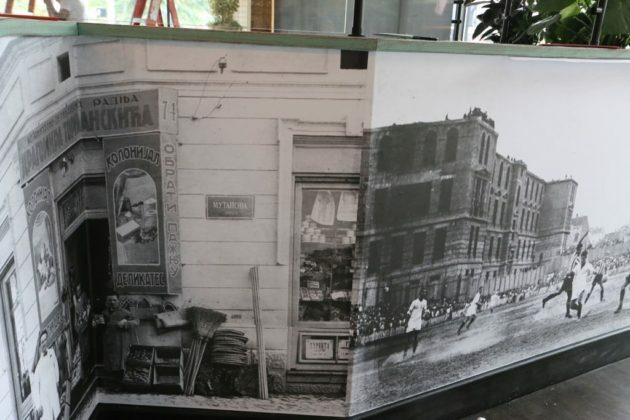 This will be the second Ambar location in the United State with a third sister restaurant in Belgrade, Serbia. 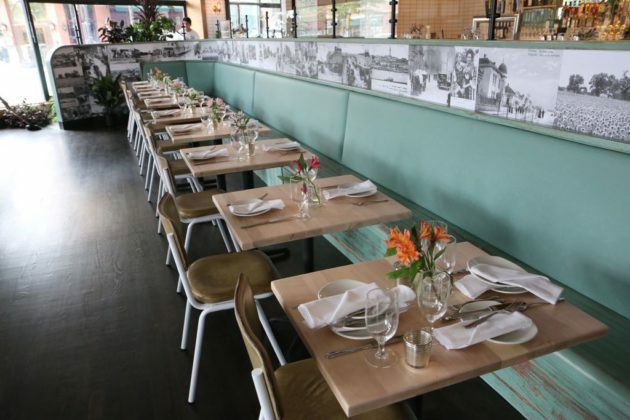 The new Ambar in Clarendon is a 3,600-square foot restaurant, which will serve the best dishes from the Balkan Peninsula with a modern twist. Ambar’s menu is artfully presented with modern combinations that deliver flavor profiles in a unique way. 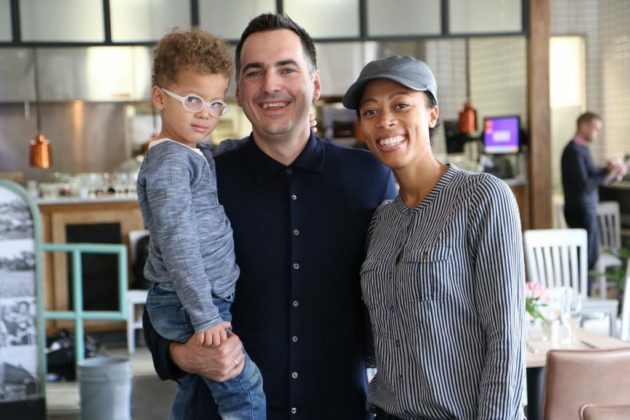 Serbian natives Ivan Iricanin and Mihailo Subotic developed the menu with the help of Executive Chef Chris Hawkins who found inspiration from his recent travels throughout the Balkan region. Hawkins has served as chef de cuisine of the original Capitol Hill location since February 2015, and has traveled to Serbia multiple times, most recently in July 2016. Ambar will open with dinner service with breakfast, lunch and brunch to be added at a later date. 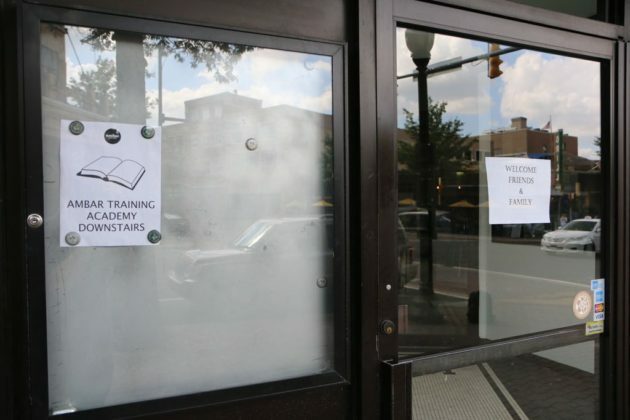 Approximately 50 percent of the menu in Clarendon will differ from the Ambar Capitol Hill location. 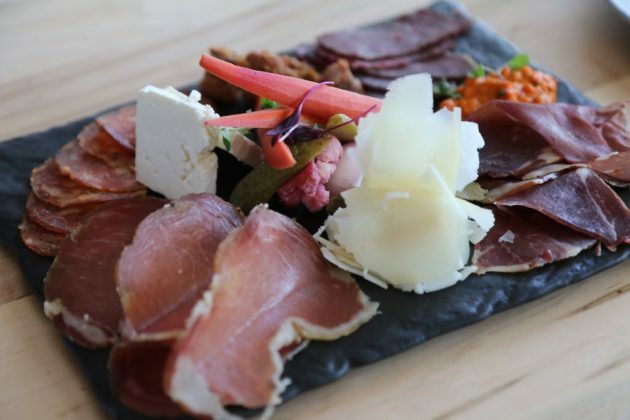 Fans of the Balkan Experience menu, which showcases Ambar’s entire menu for the table with unlimited servings accompanied by featured beverages at the Capitol Hill location will be delighted to find unlimited food in Virginia for $39 per person. Guests at the new Ambar will enjoy the confident level of friendly and attentive service, a trademark of the existing locations, while savoring the restaurant’s signature dishes such as Balkan Salad with tomato, pepper, cucumber, onion and aged cow cheese; Cheese Pie with crispy phyllo, cucumber yogurt and roasted red pepper sauce; Balkan Kebab, fresh ground beef, veal and aged Kajmak, and Stuffed Sour Cabbage with potato mash, pork belly, rice and yogurt. 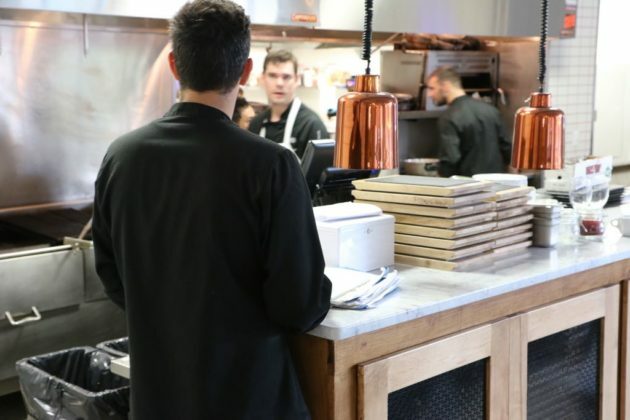 Like Ambar Belgrade’s menu, here guests will also find new additions created on the wood-fired grill and rotisserie, along with breads that are made-to-order. New additions include the Beet Tzatziki Spread; Eggplant and Sesame Spread; Lamb Pate, rotisserie lamb and dried cherries; Rotisserie Lamb; Suckling Pig; Veal Roulade with slaw, potatoes and horseradish sorbet; a Wild Boar Burger with pesto, as well as Lamb Skewers, served with a citrus herb yogurt. Small plates will be priced from $5 to $19 while large platters of mixed grilled items (made for two) will be priced from $28 to $34. For the perfect pairing, Ambar will offer a highly selective list of wines showcasing the best of the Balkan region. Over 45 wines will be available by the bottle from Serbia, Macedonia, Slovenia, Montenegro, Bosnia & Herzegovina and Croatia. Prices range from $26 to $90 by the bottle. 16 wines will also be available by the glass with prices ranging from $6 to $13. A selection of 10 draft beers will also be available. Ambar will also be home to Virginia’s first Rakia Bar, which will serve several varieties of the rakia, an alcoholic beverage which is produced by the distillation of fermented fruit and brandy. Rakia is considered to be the national drink of Bulgaria, Serbia, Bosnia & Herzegovina, Croatia, Macedonia and Montenegro. 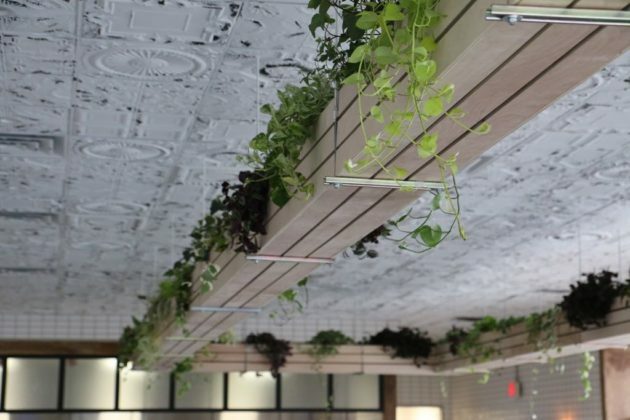 Iricanin partnered with his wife Nya Gill, a recent graduate of the Interior Architecture & Design MFA program at George Washington University, to design the Clarendon restaurant. Her design scheme will take advantage of the corner location with floor-to-ceiling windows that afford fabulous light throughout the dining room and bar. The 16-seat bar is the focal point of the space and is adorned with handmade tile, custom brass and glass shelving complimented by antiqued mirrors. 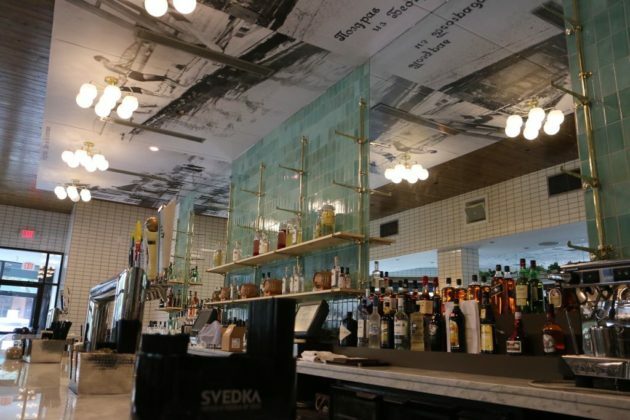 The bar top is made of Carrera marble, and the lower portion of the bar is covered in embossed metal tile. Above the bar there are playful flush mount lights highlighting a scenic photograph of Old Belgrade plastered from floor-to-ceiling. The bar area also features a wooden plank ceiling, and a custom sound system. Across from the bar is a seating area that was created just for this space featuring a bar height banquette upholstered in antiqued leather and marble bar tables. Here, guests can enjoy a full meal during lunch, brunch or dinner hours or cocktails later in the evening. The open kitchen is framed in reclaimed wood and features custom oak cabinetry, a marble countertop and vintage recycled security glass. 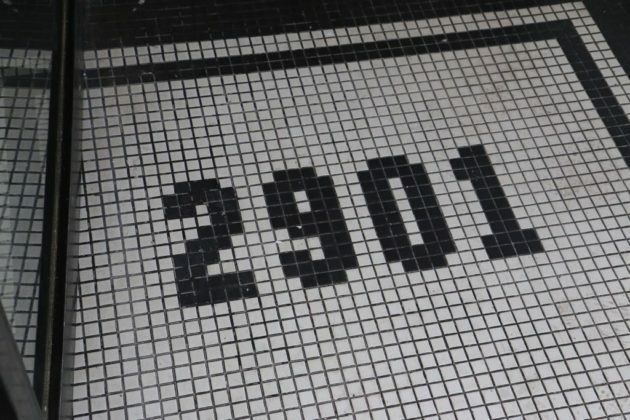 “We used the exact type of ribbed chicken wire glass found in many apartment buildings in 1920s Europe,” says Gill. The 130-seat main dining room offers wooden banquettes complete with leather upholstery, and wooden tables and chairs. A heated sidewalk terrace, complete with covered awning, will also be available during the spring and summer months (weather permitting) and can accommodate and additional 50 guests seated. Hospitality is at the heart of Ambar. Everything at the restaurant is based on tradition and the unique Balkan version of hospitality elevated to the highest possible level. For centuries, every guest that has visited this region has been treated as the most important person in the household. 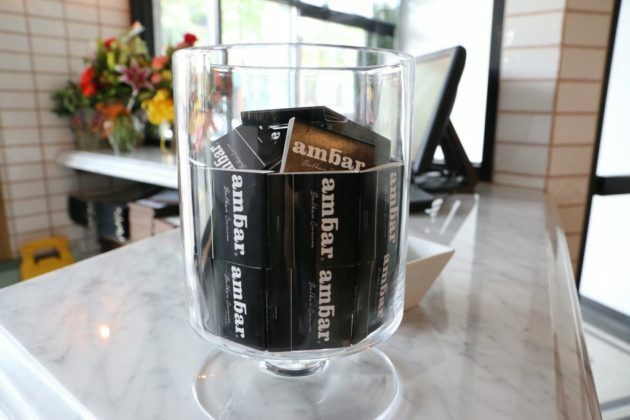 Following this noble tradition of hospitality,Ambar embraces every guest with a warm and friendly atmosphere that feels like home and provides an epicenter of strong Balkan energy. From one’s taste buds to their feet, diners will be energized by the restaurant’s vibrant atmosphere that casts a Balkan spell, which is the reason Ambar has a loyal following of repeat guests. Ambar Clarendon is located at 2901 Wilson Blvd, Arlington, Virginia, 22201, just two blocks from the Clarendon Metro station accessible on the Orange and Silver Lines. The restaurant will be open for dinner Sunday through Thursday, from 4 PM to 10 PM and Friday and Saturday, from 4 PM to 12 AM. Breakfast, lunch and brunch will debut at a later date. Breakfast will be served Monday through Friday, from 9 AM to 2 PM. Lunch will be served Monday through Friday, from 11 AM to 2 PM and brunch will be served Saturday and Sunday, from 9:30 AM to 3:30 PM. A live DJ will spin music Friday and Saturday, from 11 PM to 1 AM and a late night menu will also be available. Happy Hour will be served Monday through Friday, from 4 PM to 7 PM. For additional information please call (703) 875-9663 or visit http://www.ambarrestaurant.com.